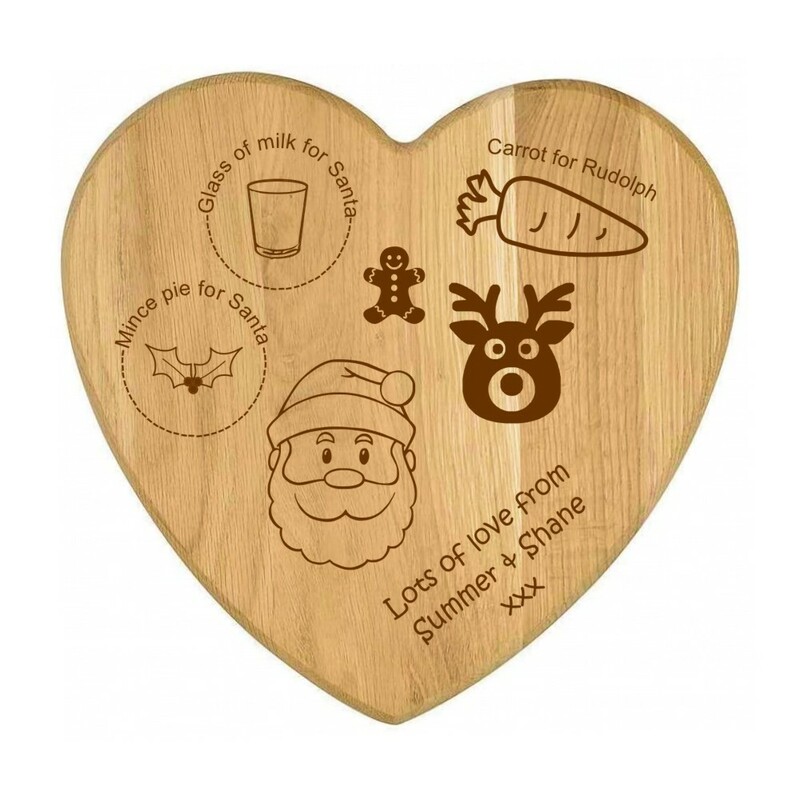 Engraved and Personalised Bamboo Wooden Heart Christmas Eve Santa Board. This amazing bamboo Santa plate measures 30 x 28 x 1.5cm. It comes engraved with the Santa, reindeer, gingerbread man, carrot, glass of milk and holly images and text as shown. All you need to do is let us know the personalised text you would like adding and we will start creating this amazing keepsake to be used for on Christmas Eve for years to come!